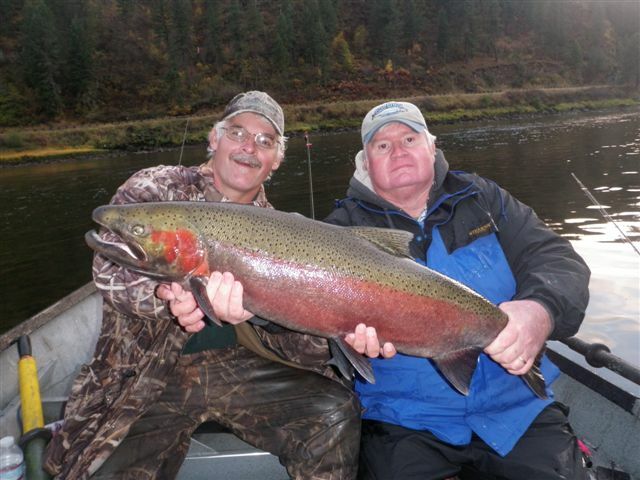 Catching a mighty Clearwater River B-run steelhead is an exhilarating experience. 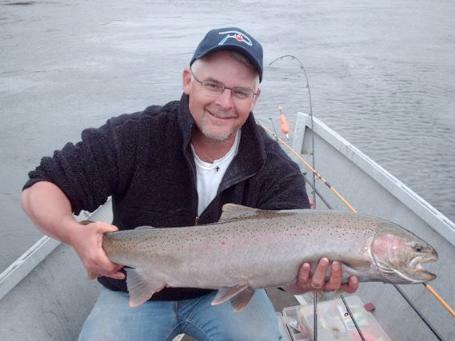 These fish average 12-14 pounds, with a 20-pound fish not uncommon! 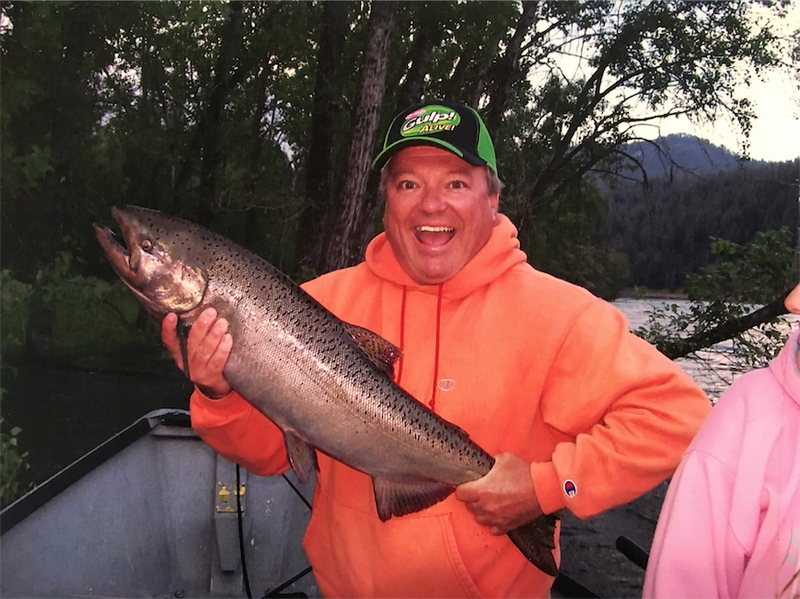 The season begins in July with catch and release. 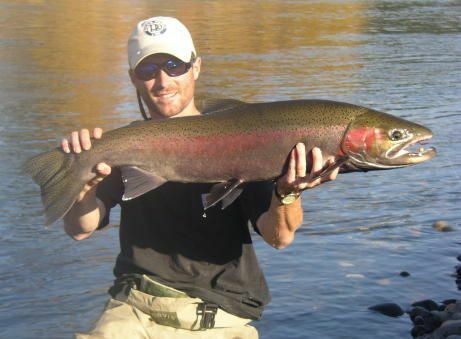 It is truly a time to catch a good number of fish, especially in the lower Clearwater. 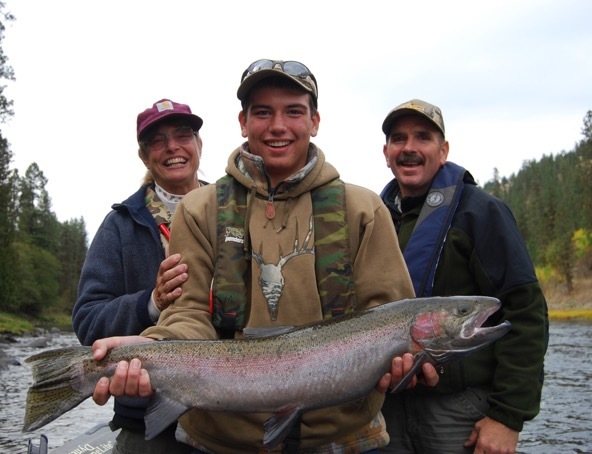 In early fall, catch and release continues until the big season opening of catch and keep October 15. 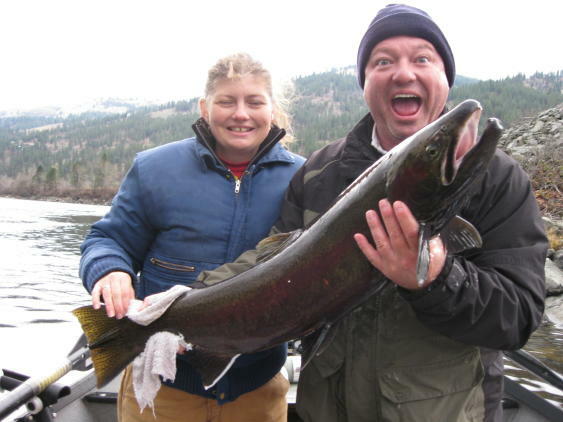 Anglers come from all over the country and outside the U.S. to experience the thrill of fishing for these amazing fish. The season continues through April 30. 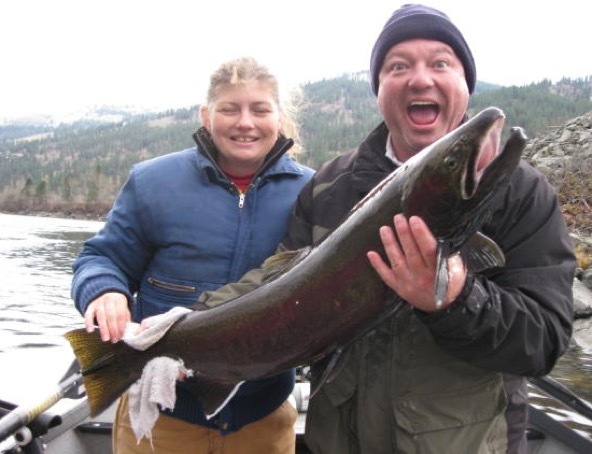 Book a steelhead trip with us and you will not be sorry. 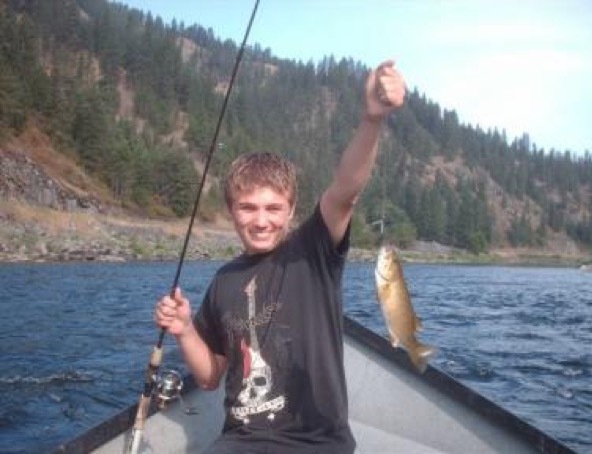 Our patient guides provide a fishing trip that is superb. Your drift fishing trip will include not only an experienced and friendly guide but also lunch on the trip, bait, tackle and fishing gear. 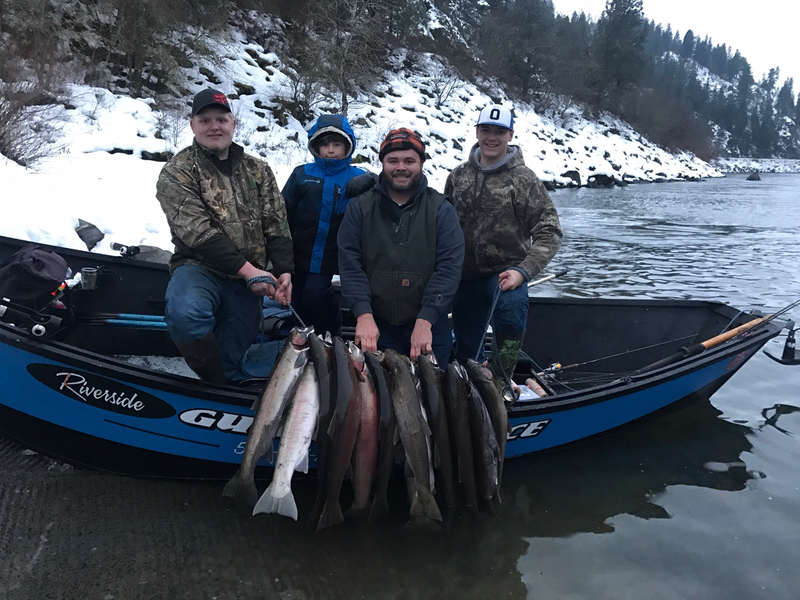 All you need to bring is a current Idaho Fishing license, steelhead tag and yourself with clothing appropriate for the weather.